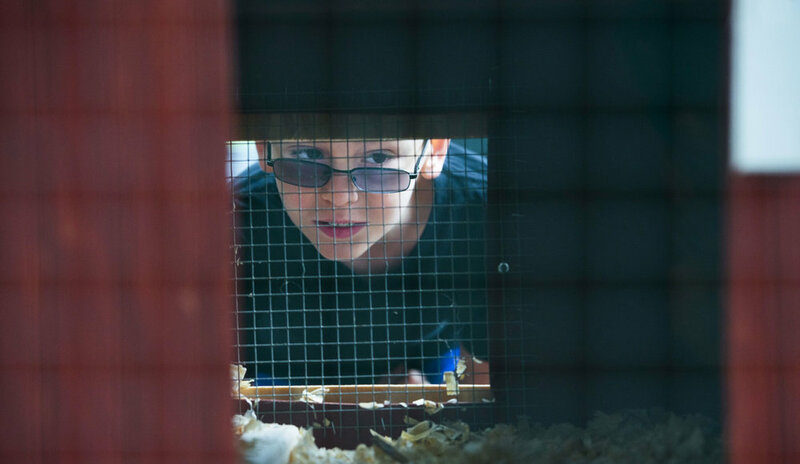 Tyler Phillips stood in the back of his parents’ home in Potomac and surveyed his burgeoning poultry empire. Lined up in front of him were the three chicken coops he’d been up building until midnight. His white van was gassed up and ready to go. The hens were already inside the coop he was delivering to a customer a 10-minute drive away. Tired of those boring supermarket eggs in polystyrene cartons? Now you can enjoy fresh, delicious organic eggs from free-range chickens as local as your own backyard. Bill Geist meets the owners of the Rent-a-Coop chicken business in Potomac, Md. Growth in the local food movement has created a boom in the chicken-renting market. Rent a Chicken Coop founder Tyler Phillips discusses his business. It's not uncommon for Washingtonians to rent bikes, books and apartments. But chickens? A local business is delivering hens — and their homes — to your door for a few weeks at a time. Looking for our press kit or want to feature us?